It's all about location... 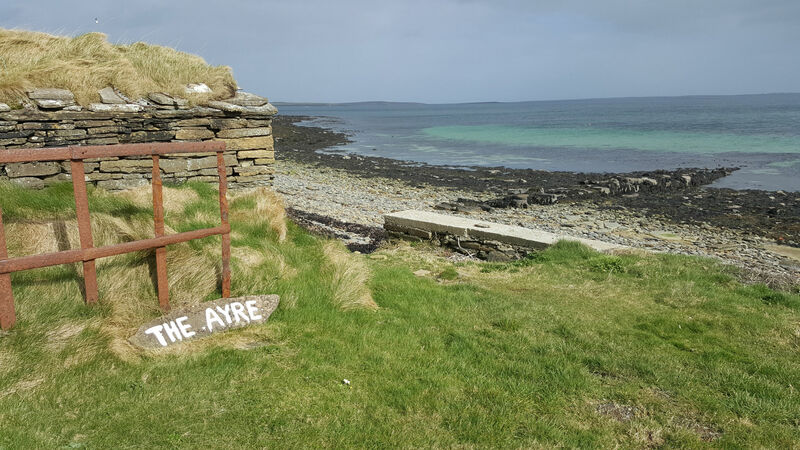 The Ayre is a traditional, Orcadian stone cottage situated on the shores of Hinderayre Bay in the West Mainland parish of Rendall. The grounds are private and spacious and the setting is special. 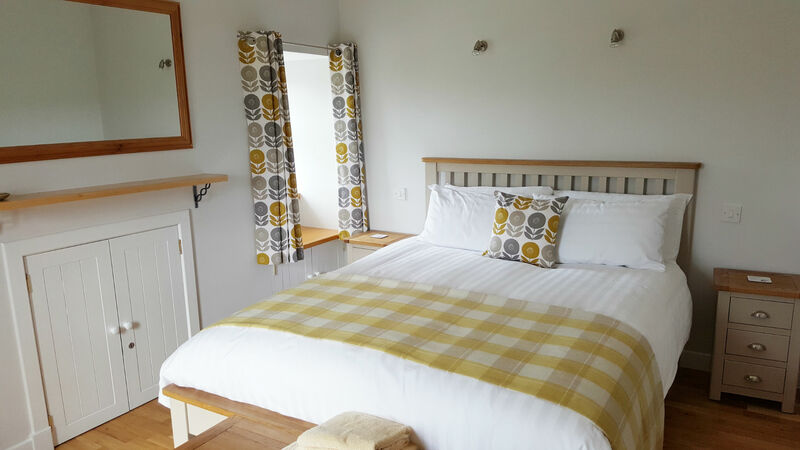 The sea is just metres from the garden gate, so why not wander down to the shore with a cup of coffee or glass of wine, and relax on the sea wall as the water laps at your feet? 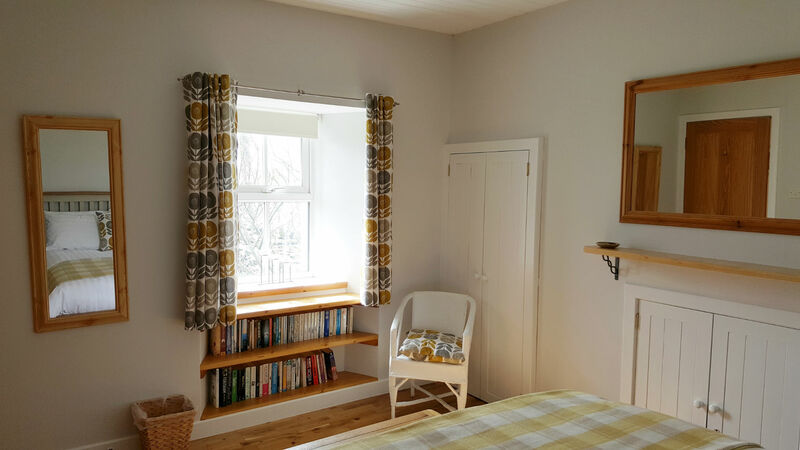 Built around 1900, the south-facing cottage has been sympathetically renovated to provide all the comforts of modern life, but retain the original character. 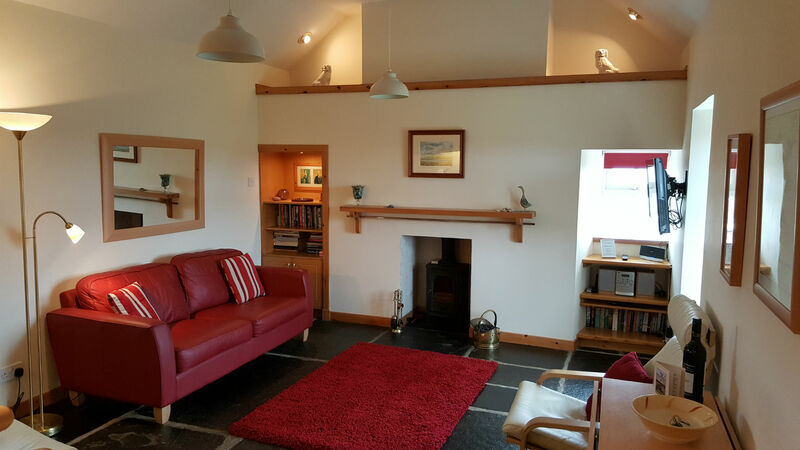 The house isn't large - it is, after all, a traditional crofter's cottage - but it sleeps four comfortably. 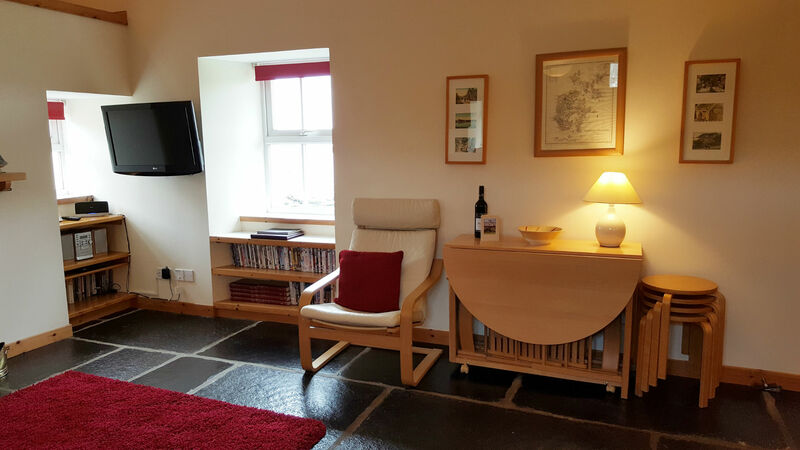 The accommodation comprises an open-plan living room/kitchen with the original flagstone floor, cathedral ceiling and a solid fuel stove, a king-size bedroom, twin bedroom and shower room with toilet, shower and basin. 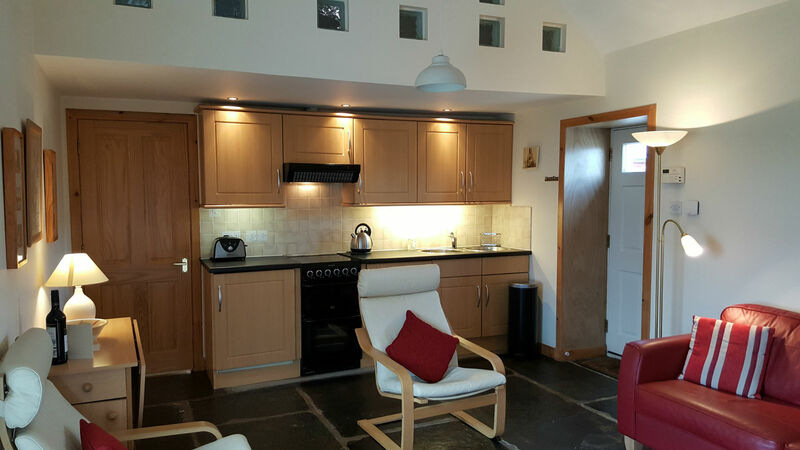 A seperate utility annexe houses a washing maching, tumble drier, freezer, microwave and sink. 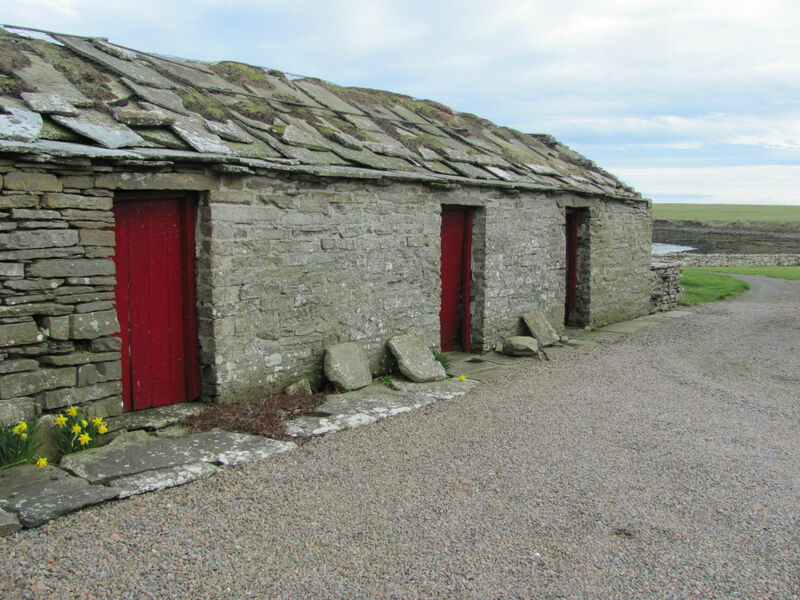 The byre - which still contains the original cattle stalls - gives secure storage for bikes or other equipment. 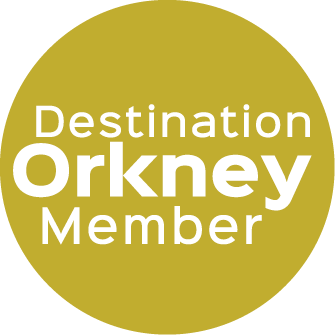 Free, unlimited Wi-Fi is provided, along with books, games and an eclectic DVD library. 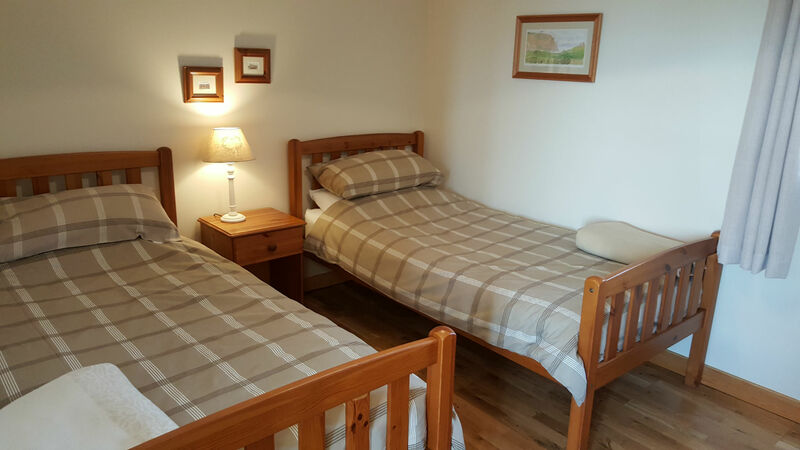 Electricity, fuel for the stove, bed linen and towels (excluding beach towels) are included in the price. There is an attractive, walled garden to the front of the cottage, plus a large grassy area beyond for football, games, etc. 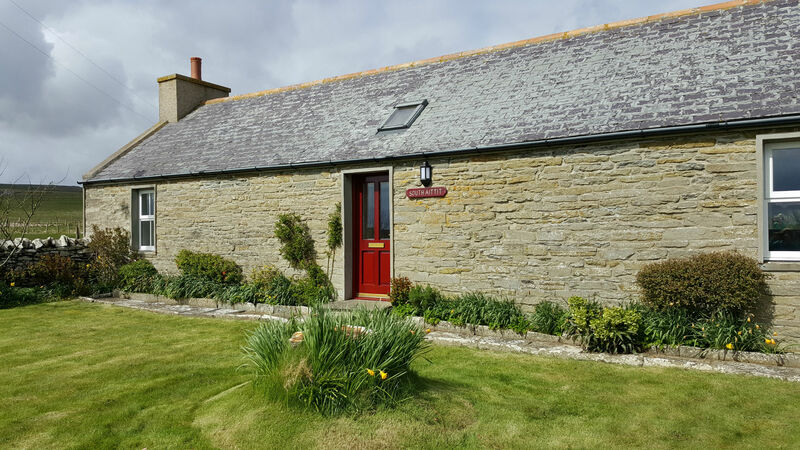 Outbuildings - some dating back to the 1860's - form a sheltered square to the rear of the property, providing parking for several vehicles. 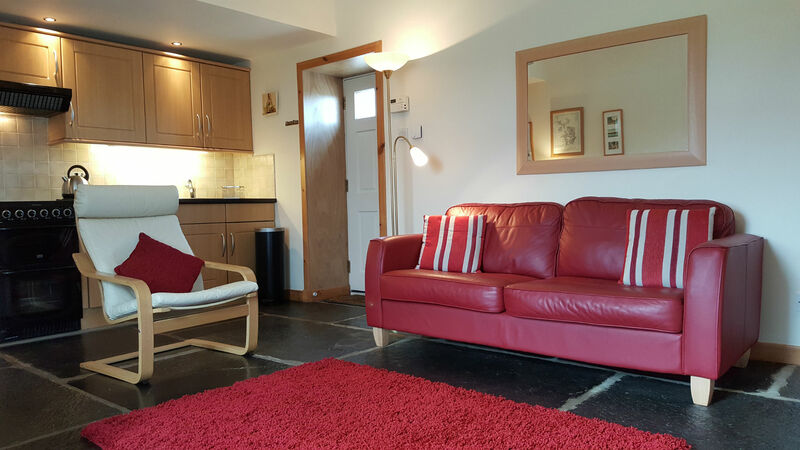 Please note that the cottage is a non-smoking area. 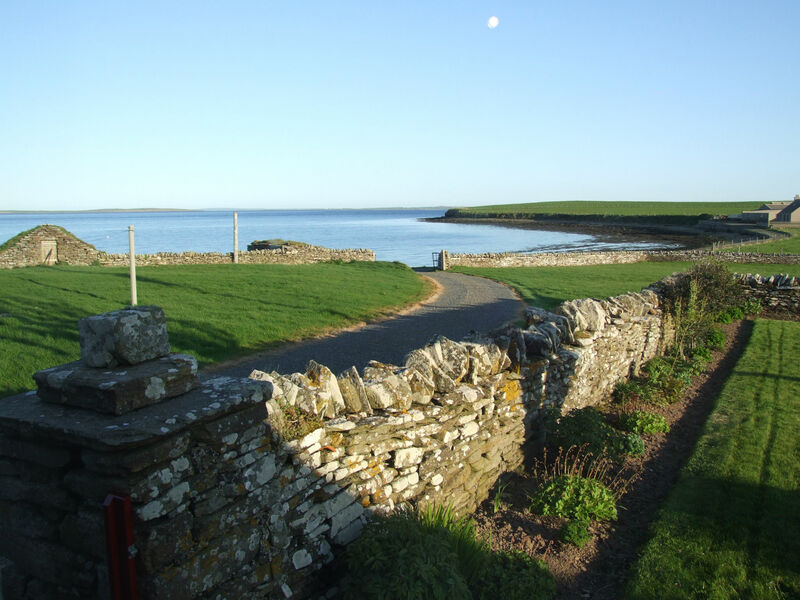 The Ayre is approximately 14 miles from Kirkwall and Stromness, while Finstown is just over ten minutes' drive away. The sea is on your doorstep!